Gas adsorption measurement provides essential information on surface properties of powder. 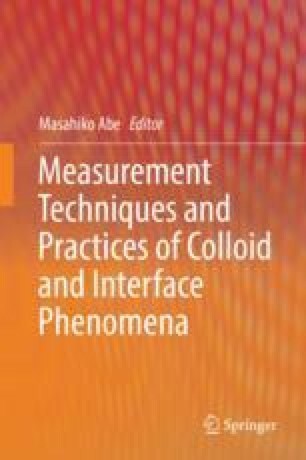 In this chapter, theoretical background, process of measurement, and reading of obtained data are briefly introduced. The adsorbate gas molecules are attracted by van der Waals force in physisorption. The relationship between adsorbed amount and activity (pressure), so-called adsorption isotherm, had been developed in early studies. Various isotherms have been proposed based on Langmuir monolayer adsorption theory, and the most important one is BET theory. Analysis of isotherm gives some important characteristics on solid surface, such as specific surface area, pore volume, pore size distribution, etc. The type of adsorption isotherm is classified into six types according to IUPAC criteria. In actual measurement process, dry process in preparation of sample is very important to obtain accurate data. And measurement parameters should be set carefully taking various characteristics of samples into account. The obtained isotherm is analyzed by various analysis methods by computational calculations.